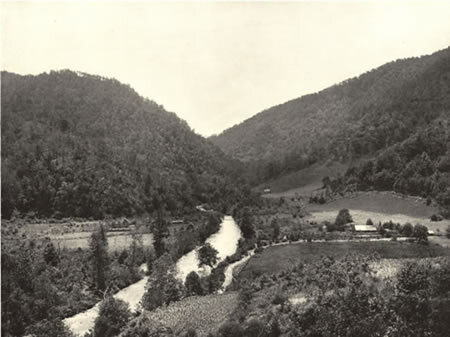 "The village is located on the charming Nantahala River, from which it takes its name. It is in the midst of a fine hardwood lumber region which is being developed most profitably. Located in the vicinity, too, are marble and granite quarries which, to a very great extent, are awaiting capital and enterprise for their development. The scenery about Nantahala is magnificent. Within a short distance of the village is Cheowah Bald, one of the boldest and most picturesque mountains in this section. 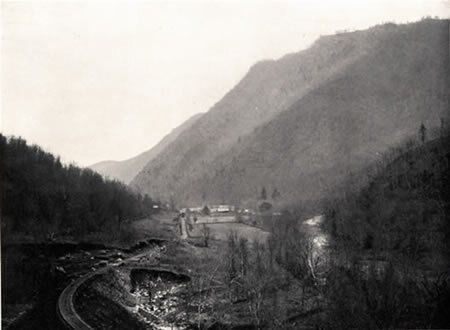 By following a rough trail for a distance of five miles from Nantahala, one may reach Steecock Bald, which towers 5,000 feet into the sky." Waldron, Holman D. (text). With Pen and Camera thro' the "Land of the Sky" -- Western North Carolina and the Asheville Plateau. Portland, Me. : Chisholm Bros., 1904.